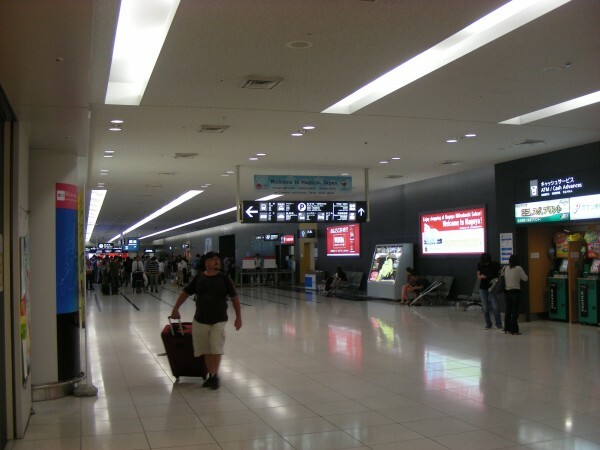 Airports: The closest airport is Nagoya’s “Chubu International Airport”, however Kansai International (Osaka) and Narita (Tokyo) are also relatively convenient if you use the shinkansen (bullet train network). 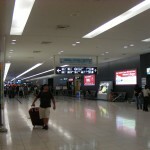 The airport is fairly new, modern, very clean, and has good transport connections. Okazaki: To get from Chubu International Airport to Okazaki, the easiest way is to use the airport limousine bus to JR Okazaki Station, and provide a free transfer to your homestay or apartment. We will reimburse the limousine bus fare to you after arrival. If you are a returning student, we will come and meet you at the airport, a free service. Nagoya: To get from the airport to Nagoya, the easiest way is by Meitetsu train. There are direct services from the airport to JR Nagoya. We will provide a free transfer to your homestay or apartment. We will reimburse the train fare to you after arrival. If you are a returning student, we will come and meet you at the airport. Again, a free service. Trains: The closest train station to ALC’s Okazaki school is JR Okazaki Station on the JR Tokaido line (the main trunk line running between Tokyo and Kobe). This station is about 500 meters from the school. When you arrive, we will come and pick you from the ticket gate, or if arriving by the airport limousine bus, at the bus stop. We can help you with your luggage, and transfer you to your accommodations. All of the express trains on the JR Tokaido line stop at this station, and it is the main line used by our students. You can transfer between this line and the high-speed JR Shinkansen at Toyohashi, Mikawa-Anjo or Nagoya stations. If travelling to Aichi from Kansai International Airport, change at Nagoya. If you are travelling from Narita Airport, then depending on which service you choose, then either Toyohashi or Nagoya are more suitable. The fastest trains (Nozomi) do not stop at Toyohashi. Transport: The city has good roads and a very high rate of car ownership, so be careful if riding a bicycle. Bicycles are the easiest way to get around the city and can be rented from the Center. There is an extensive bus network (Meitetsu Bus) and a local train (the Aichi Loop Line) that runs from JR Okazaki, north to the castle and the privately owned Meitetsu Railway line, before proceeding on to Toyota and Kozoji. For more information please browse the Student Handbook in the Guide section.